The Ahtena, Copper River, also know as Ahtna, Atna, Ahtna-kohtaene, or Copper River, are an Alaska Native Athabaskan people of the Athabaskan-speaking ethno-linguistic group. The people's homeland called Atna Nenn', is located in the Copper River area of southern Alaska, and the name Ahtna derives from the local name for the Copper River. Their name, Ahtena, actually means "ice people". They reside near the Copper River's mouth which opens into the Gulf of Alaska. According to a 2011 University of Alaska Fairbanks report, about 80 Ahtena people are believed to still speak the language. 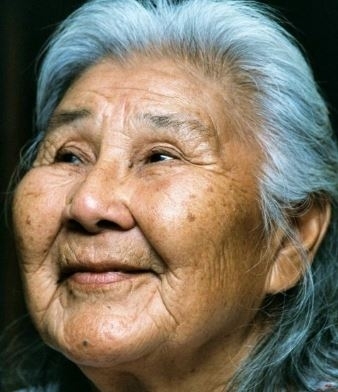 The Ahtena People themselves have published a noun dictionary of their language (The Ahtna Noun Dictionary of Pronunciation Guide: Ahtna Heritage Foundation/Ahtna, Inc., 1998, 2011 Revised) to help preserve their mother tongue. The Ahtena people are known for hunting many different types of animals such as the moose, caribou, mountain sheep, and rabbits. Moreover, salmon is a staple, being caught with nets in rivers and streams. To view a Wikimedia Commons density map of their location, click here. Traditionally, to support healthy prey populations, the Athena would monitor and reduce predator populations such as wolves, eagles and bears. For example, they would keep track of wolf dens in traditional hunting areas and by killing cubs. A central figure in their mythology, the Ahtena might prop up killed wolves and feed ceremonial meals to them. Ask God to work in the lives and hearts of Ahtena people who have become nominal Christians. Pray that evangelical Athena Christians will cross cultures to share the message of Christ with their new foreign neighbors. Ask God to work in the lives and hearts of Athena people who claim no religion or practice ethnic religions.